This isn’t Ann Arbor. 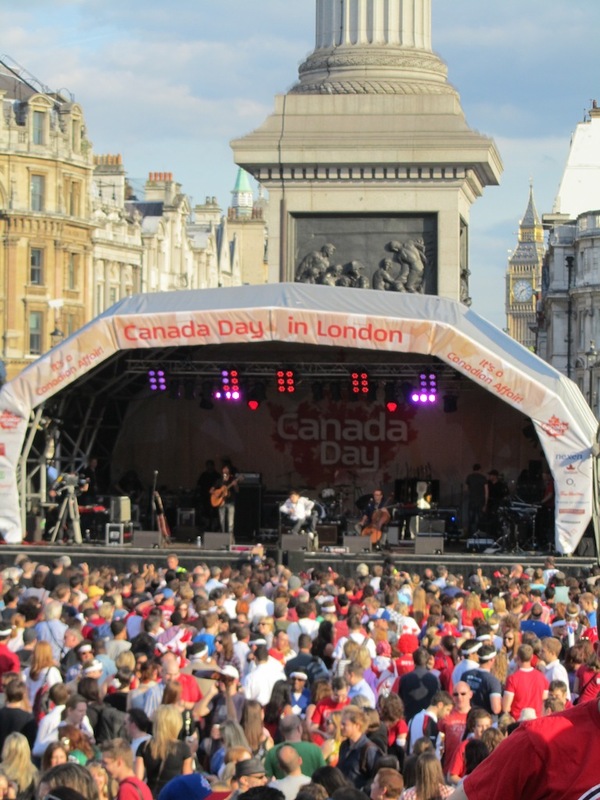 On Canada Day in London, there is no wandering around town dressed up in red and white with no one to talk to. Although this post may be a little late, I can assure you it was started closer to the 1st of July. That’s got to be worth something. I changed into my red dress (admittedly, my only red anything) and met a group at Trafalgar Square after work. My dinner was poutine and they had Tanya Kim and Mike Myers on a big stage. How much more Canadian can you get? Tim Horton’s was there but they ran out of doughnuts. That wouldn’t happen in Canada.